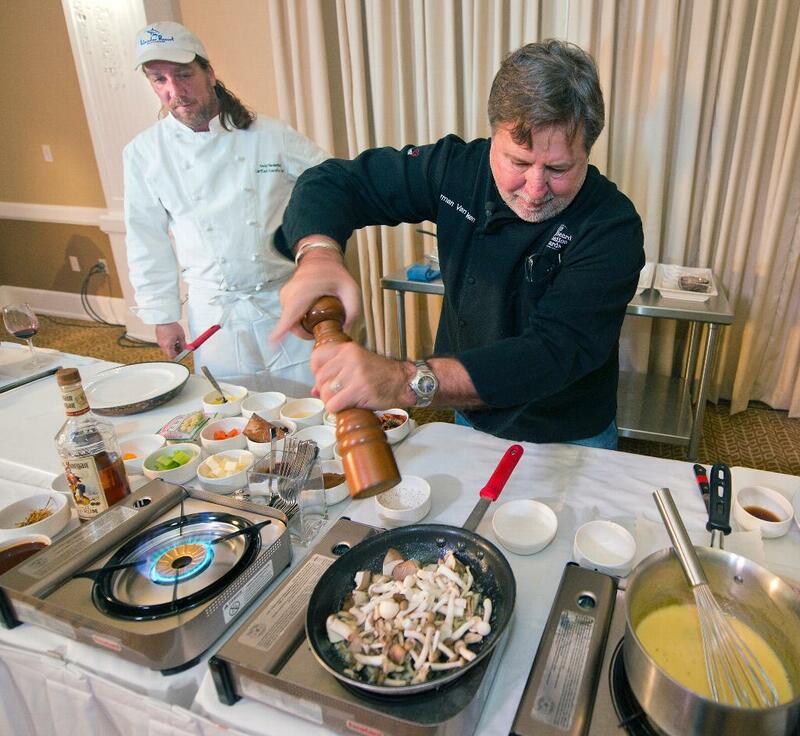 It’s not January in the Florida Keys without the Key West Food & Wine Fest. This year marks the festival’s 10th year spotlighting the finer local things in life, from the simplicity of pink shrimp to precise winemaker and chef collaborations. Exploring the island and its culinary scene? It’s not too late to book your stay at The Gates Hotel Key West. Amenities at The Gates – such as hourly shuttle service to Old Town – makes it an easy choice. Read more about our accommodations. Here’s a look at 5 things you don’t want to miss at this year’s Food & Wine Fest. Take a break from the wine and cheese and indulge in craft beer and grilled cheese pairings! This ain’t your mama’s grilled cheese – and local Florida brews pack a punch to go with everyone’s favorite comfort food. The event is hosted by Brown Distributing with food prepared by the Toasted Coconut, located right next-door at our sister hotel, 24 North. This popular event always sells out, so purchase your tickets in advance. Knowing how to make your own Key lime pie is the best souvenir you could bring back home from Key West – and this event at the Key Lime Pie Bakery makes it entirely possible. Join chef Bill Wood in making your own Key lime pie, using the bakery’s award winning recipe. Slots are limited! See details. One of the festival’s main events, the garden tour and tasting gives visitors a delightful look at the quaint island town and its colorful flavor. Tour historical spots in Key West, such as the Audubon House & Gardens, complemented with food at each garden. Have we piqued your interest? Read more to tour and taste your way through historic Key West. Cuban cuisine has a very special place in the heart of the Conch Republic, so clear your schedule and join chef Joey Bove for a tour of Cuban cuisine! Learn about Cuba’s history in Key West and get a taste of Havana in this one-of-a-kind culinary tour you won’t find anywhere else. Insider’s tip: Guanábana mimosas are planned for the occasion, so act fast! See details and book your spot in advance. We are big fans of local art galleries at The Gates Hotel, and 7 Artists & Friends is one of our favorites. From 1-6 pm Jan. 26, the gallery will be open and serving complimentary wine as you peruse works made by Key West artists. Shop local and pick out a souvenir to hang on your wall so you have a little piece of Key West to look at year-round. This event is free! 7 Artists & Friends is located at 213 Simonton St.
Want to escape winter? Book your trip to Key West in the Sunshine State. See special offers at The Gates Hotel, recognized by Condé Nast for its stellar accommodations in Key West.